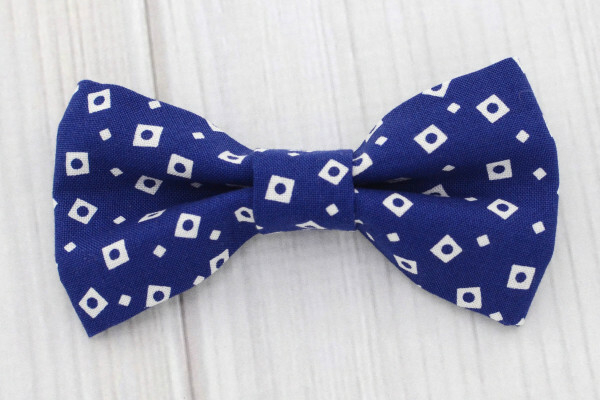 Timeless and classic, bow ties add a handsome touch to any outfit. 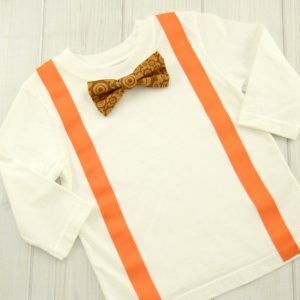 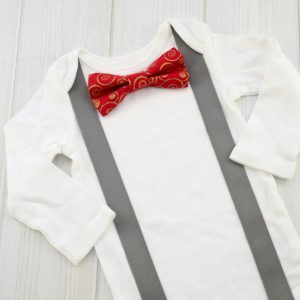 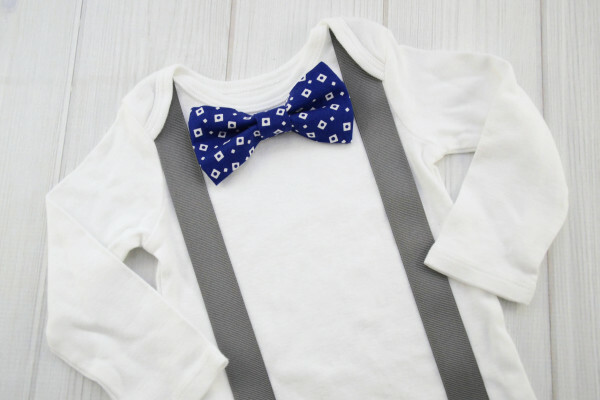 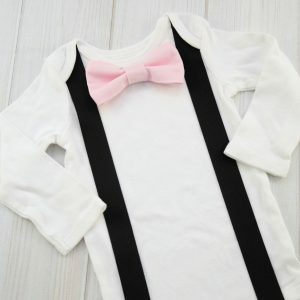 Complement and polish your little boys wardrobe with an easy to wear bow tie and suspender shirt. 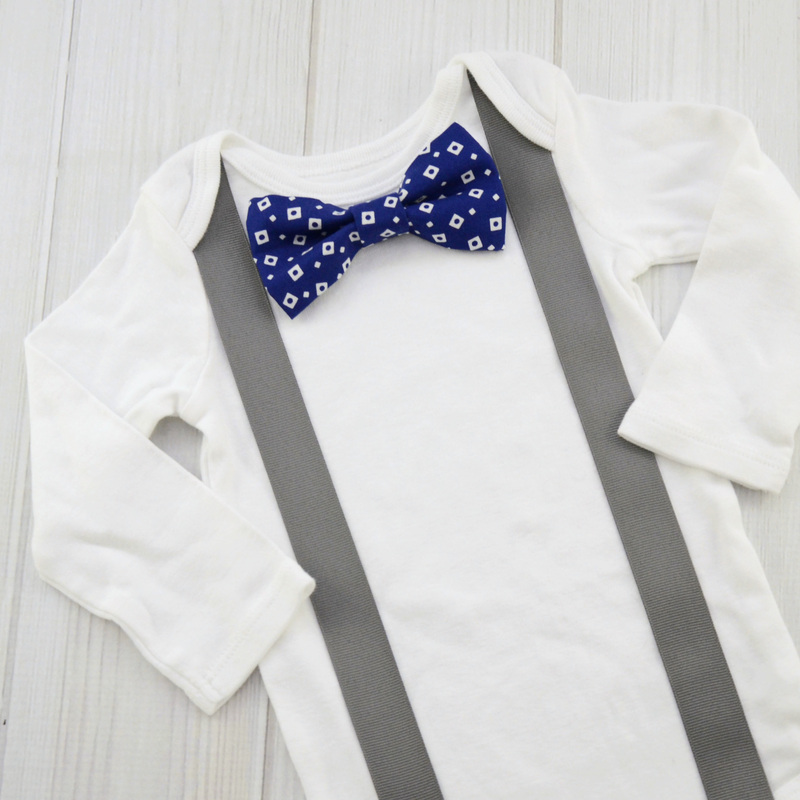 They are elegantly simple for any occasion but still durable and comfortable to wear as an everyday shirt. 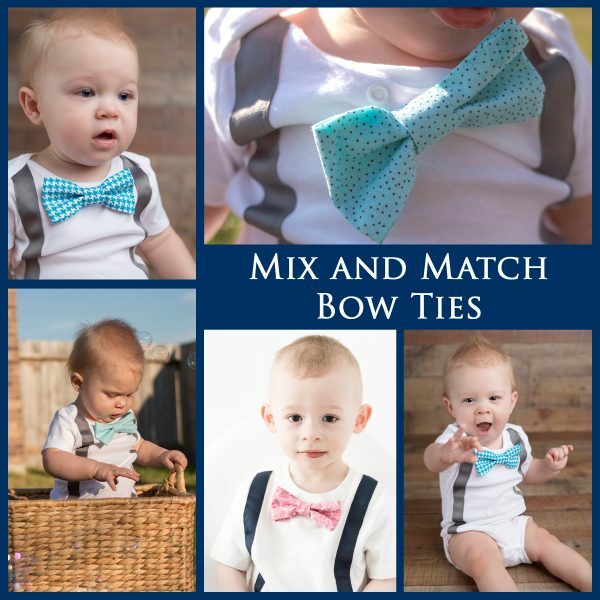 Your adorable baby will be picture-perfect for special occasions like birthdays, weddings, church events, holiday gatherings, or family photos.